is located on the Bay just across the street from Schlitterbahn. Boasting 13 unique water slides that meander through the Schlitterbahn Beach Waterpark, there are water rides to suite the most adventurous to the tiny tots. When first entering the park, you may wonder what to ride first. I would suggest getting on Rio Adventura, described as a "transportainment" (a combination of transportation, sport, and entertainment) river system that can instantly take you around the park by water tube, through mild and whitewater river sections. Make sure you hold on to your inner tube in the whitewater section, as the surging waters whisk you along. There are lifeguards on duty throughout the park to ensure a safe experience. 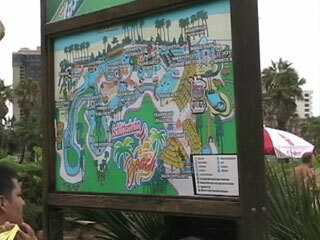 Tubers can enter and exit Rio Adventura from the Rio Beach wave pool or several beaches located in the park. The Rio Adventura also connects with three exhilirating uphill water coasters and two exit tube chutes. A height requirement of at least 42 inches is only required for the uphill water coasters. The unique Rio Adventura experience has received several noteworthy industry awards, including the Best New Waterpark Product. The largest bodyboarding ride in the country, the Boogie Bahn, lets guests try out their surfing skills. You need a good degree of balance, be a good swimmer, and in good health to venture onto this one. 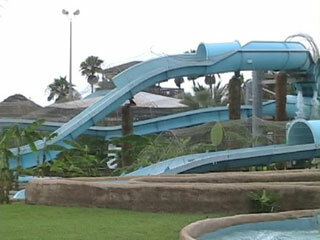 Schlitterbahn Beach Waterpark also features more tube chutes and thrill rides, including sand volleyball courts. Another attraction available for guests is Sea Trek, a unique underwater helmet diving experience where guests can experience local marine life up close. Sea Trek requires a separate admission fee from the park and is by reservation only. afterwards walk the footbridge to the beach. Or, choose to wade into Bob's Float Inn Bar and hot tub for a drink libation. As a guest, you can also bring your own food and beverage into the park, except glass containers or alcohol. There are lockers that can be rented to store items securely. Free parking is included, as well as free inner tubes for use on rides. With purchase of your Schlitterbahn day pass, you will be given a wristband that allows you to enter and exit the park at anytime during the same day. Discount admissions are available for active military, and a discount admission rate is also available after 3 pm. 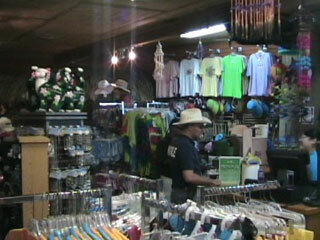 We would like to thank Schlitterbahn staff for assisting with our feature. 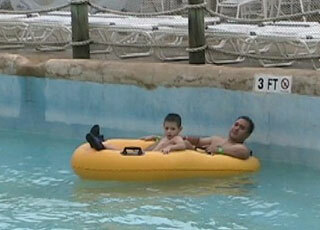 Schlitterbahn Beach Waterpark is open every day from 10 am till closing (from 6 to 8 pm) from April till September. Located just over the Port Isabella Causeway on the island. Turn right at Padre Blvd. The park is on the left side, about a half mile south of the causeway. Kids of all ages will love Sand Castle Cove, a funhouse maze of six towers, with four water slides, and a giant bucket that spills water. Standing at five feet tall, it was voted as the Best New Kid's Ride/Attraction by the International Association of Amusement Parks & Attractions. For very young children, there is the Lily Pad wading pool, with a frog and mushroom slide.